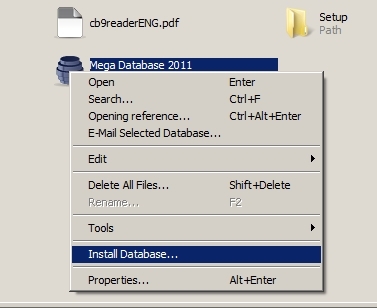 You’ll see several folders and a few files, one of which is the actual Mega Database (as shown in the illustration above). 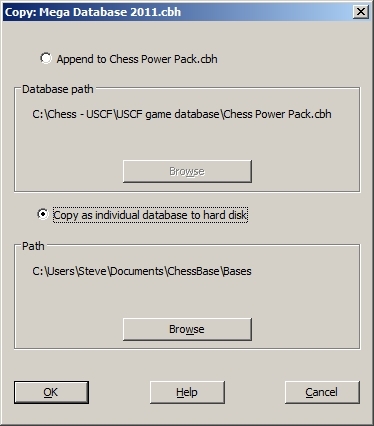 If you opt to copy Mega as a separate database, you don’t have to copy it into the suggested default folder; you can use the “Browse” button to bring up the Windows file select dialogue and choose another existing folder (or even create a new one) into which to copy Mega Database. After you’ve made your choices, click “OK” to start the copy process. Bear in mind that this won’t be an instantaneous thing; the files for Mega Database 2011 are nearly a combined 2.5 gigabytes in size, so it’ll take several minutes for the files to be copied. 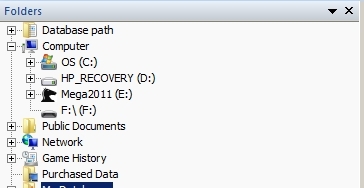 You’ll see a status bar which displays the progress of the copying task.